Physician stress and burnout is prevalent and increasing. Some would say it has grown to the point of epidemic, even a threat to public health. Based on continued concern for physicians and witnessing the most significant changes in healthcare history, we embarked again to measure physician stress and burnout. There is an urgent need for healthcare organizations to recognize and address this crisis; initiatives are needed for physicians to feel understood and supported by their leadership and to develop greater well-being. More needs to be done - and soon. Physicians are a precious resource and they are suffering. To make matters worse, when physicians suffer, the downstream effects on patient safety and satisfaction, risk management, staff retention and recruiting are immense. Because we at VITAL WorkLife support organizations struggling to combat this problem, we, along with our survey partner Cejka Search, asked the national physician population the same questions as our 2011 study, so we could compare progress on this critical issue. The results revealed the progress, prevalence and effects of physician stress and burnout. Our goal was to not only understand the nature of the problem, but also to learn whether or not organizations have been successful in providing solutions to correct the problem. The results are alarming. The situation has gotten significantly worse. At the same time, the baby-boomer generation is retiring, physicians are leaving the practice at increasing rates and millennials are questioning the benefits of entering the profession – all at a time when highly educated technical labor is predicted to be shrinking. 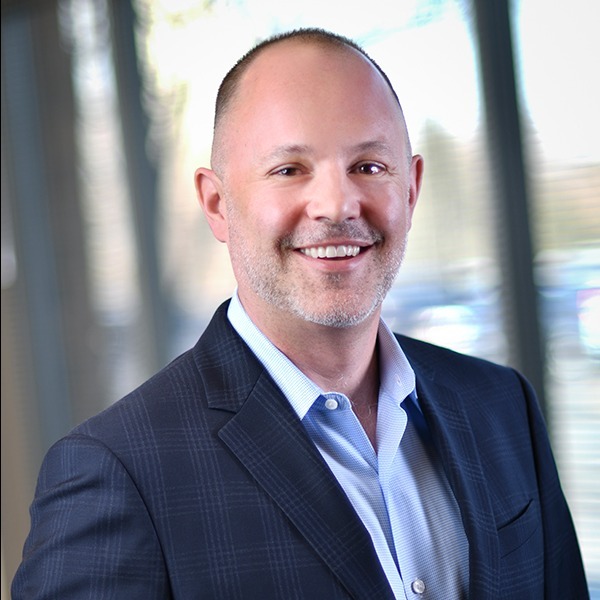 This can seem nearly insurmountable to healthcare organizations also facing operational and technical pressures, increasing expenses and with limited experience in building sustainable, healthy work environments. At VITAL WorkLife, we work every day with physicians presenting behavioral and performance issues, suffering from depression, lacking engagement or dealing with problems in their personal lives. We have helped not only individual physicians, but also teams, departments and entire organizations to address the effects of stress and burnout. Healthier and happier physicians are critical in helping healthcare organizations to meet the challenges ahead. These survey results will help your organization to better understand and address stress and burnout in your physician population. We stand ready to help you develop the right solutions to both prevent and ameliorate stress and burnout, so your organization can, in turn, stay healthy and achieve your goals. 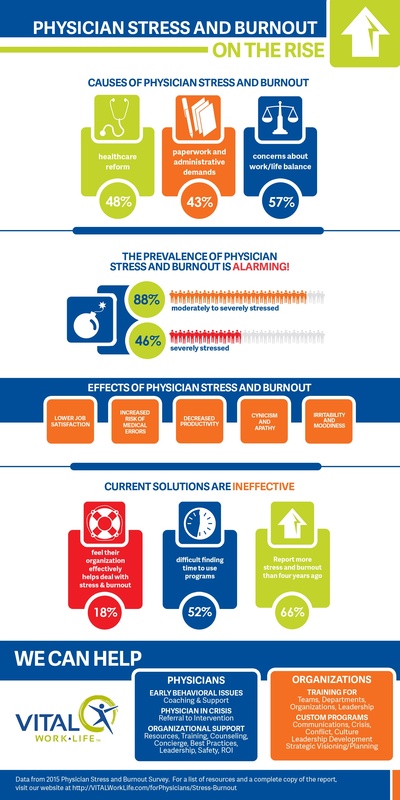 For more details and the complete survey results, download the 2015 Physician Stress and Burnout Survey Report.